The Calendar+ plugin provides an easy way to create, manage, and share your calendar and upcoming events. Once you’ve activated the Calendar+ plugin in Plugins > All, you will see Events listed in your left-side dashboard menu. You can then use the Events options to create and manage your events. To add a new event, go to Events > Add New Event. Select whether it is an all day event or has a specific starting/ending time. You can also choose an Event Color and create Event categories to help organize events. When you are finished creating your event, save your draft for further editing or click Publish. Event categories can be created in two ways. 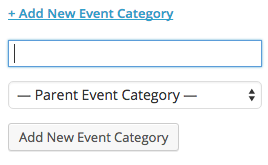 First, you can go to Events > Event Categories and add a new category there. The categories you create will then be available in the Event Categories box when adding a new event. Alternatively, if you begin creating a new event and decide to add a category, you can add it using the Add New Event Category link in the Event Categories box. .
To add locations that can be used when creating new events, go to Events > Locations. On that page, click the Add New Location button to create a new location. You will then be able to enter a title for your location and choose whether to add your own location or enter a Google Maps address. 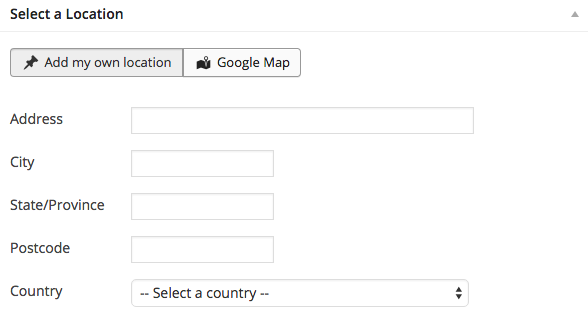 Once your location details are entered, click Publish. Your location will then be available as an option when creating new events. To modify your Events settings, go to Events > Settings. 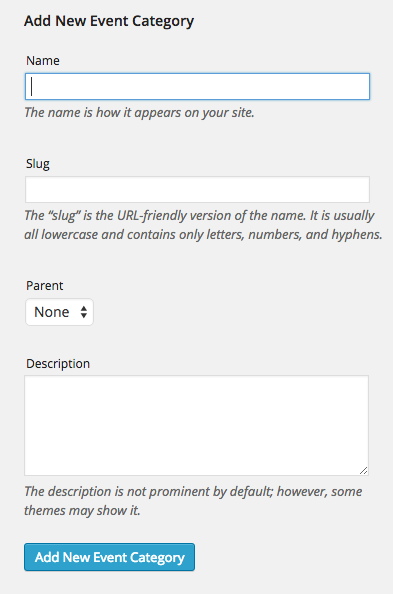 On this page you will see tabs for General and Media settings. When you set a page to be your Events Page, this will override any other content that has already been added to that page. 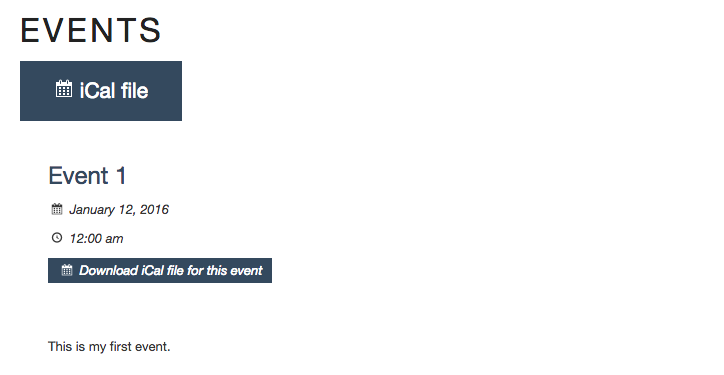 Once a page has been set to be the Events Page, then a list of your events will be displayed on that page. Once you have set a page to be your Events Page, you can choose to replace one of the site’s default sidebars with the Calendar+ sidebar. 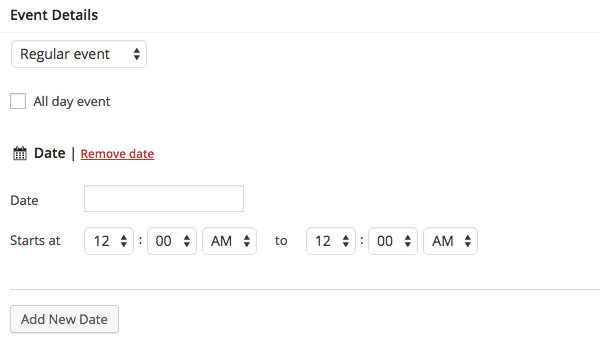 To do this, you will first need to go to Appearance > Widgets and add your desired widgets to the Calendar+ Sidebar. 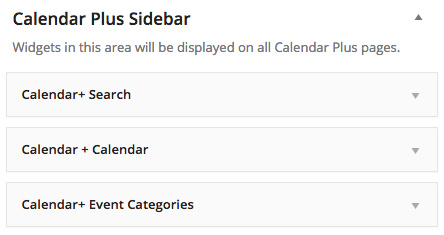 After you have added widgets to that sidebar, then you can go to Events > Settings and choose which sidebar to replace. The Calendar+ Media Settings allow you to set the size of images used for events and the size of any Google maps added to your events. 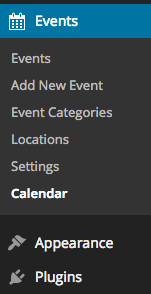 You can view your events by month by going to Events > Calendar. Event calendars can also be added to posts and pages using the calendar icon in your toolbar. After choosing Insert Calendar, you will be able to choose which categories to display, what time period to display (month, week, day, agenda), and how many events to display per page. 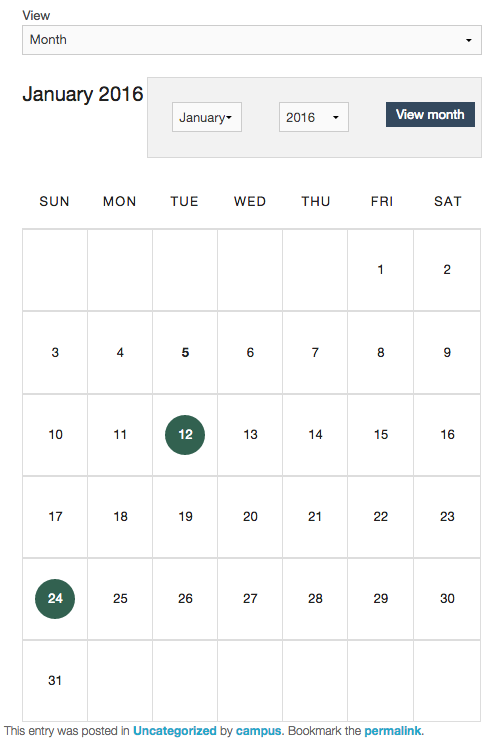 Click OK to add the calendar shortcode to your page. Once your page is published, you will see the live calendar. You can also add your calendar to a sidebar or widget area using the Calendar+ Calendar widget.